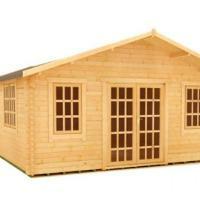 Sizes quoted above are approximate and refer to external dimensions excluding roof overhangs. Although we can install you cabin you must provide your own base - see "What you need for a log cabin base"
This section should answer your questions but if you are uncertain on any matters, please do not hesitate to contact us. Building regulations are complicated but normally defined by ‘use’ – so depending on what you want to use your garden cabin for, you may not need to worry about this. 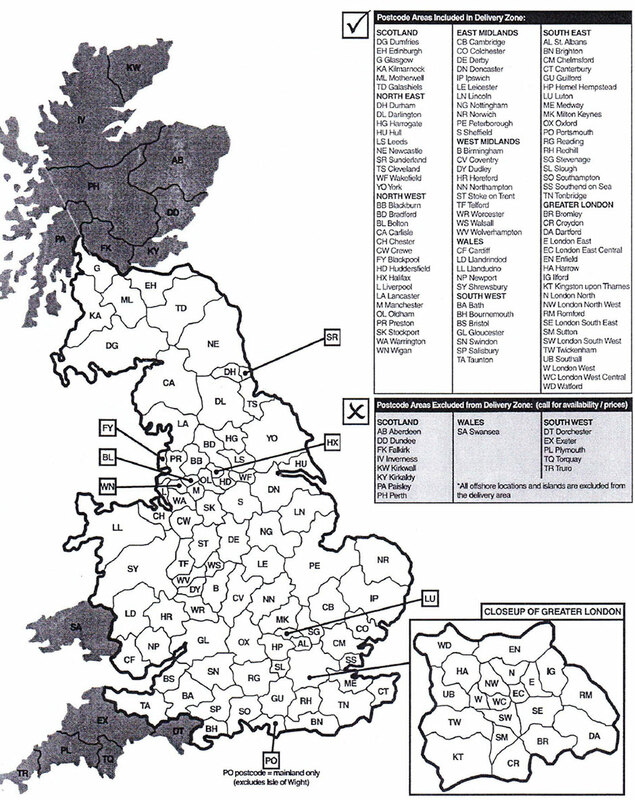 In terms of planning permission, you should consult the Government website. 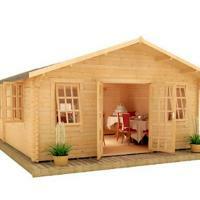 In brief, you are entitled to have a log cabin in your garden up to 4m high. If that cabin is over 2.5m in height and less than 2m away from a neighbours boundary, you will probably need permission although this is now very likely to be granted. 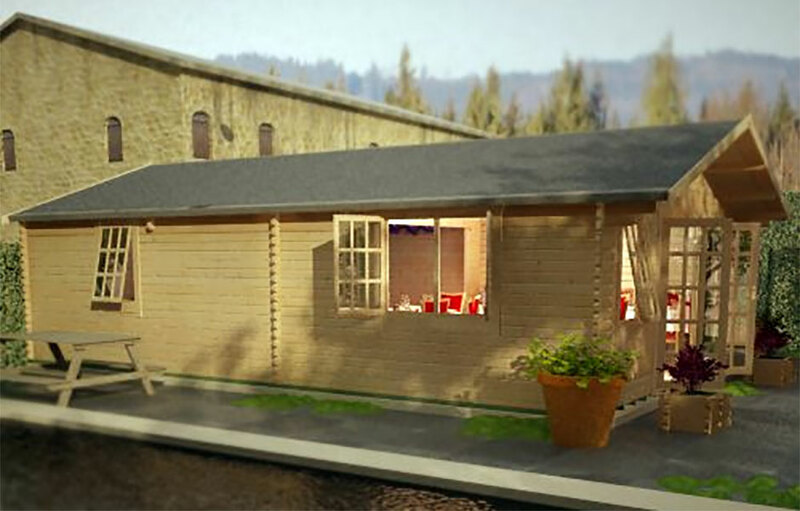 There are various concerns that a local planning officer may have, but even if a log cabin is close to a boundary, if the log cabin is 2.5m or less in height, it is exempt from planning conditions and is therefore a permitted development. Excavate an area about 25cm larger than the cabin to a depth of at least 15cm. Infill with coarse gravel to a depth of 10-12 cm and compress the gravel and then overlay with a finer gravel (3-4cm). Then lay paving stones with a height of at least 3cm making sure they are level – the non-rotting tanelised timbers can then be laid level and square. Mark out an area about 25 cm larger than the cabin and dig to a depth of at least 20cm. Infill with approximately 10 cm of gravel, compress and overlay with 3-4 cm of finer gravel. The paving stones should be 6-8 cm deep and level when laid. The tanelised timbers can then be placed level and square on this surface. 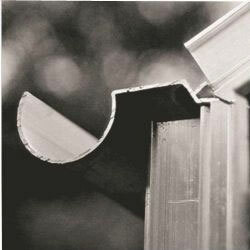 Use timber edges and fill the base to a depth of 8 10cm - for large cabins you might want to have steel reinforcing. The main thing with the timber perimeter is that it is level so that you can fill the excavation to the level of the top of the timbers. This is not a job to do the day before the cabin arrives as the concrete may take several days to cure. The surface doesnt have to be level to the exact millimetre but the more you keep working the surface with a blank across the timber perimeters the better it will be assuming the edges were completely flat. All kits are supplied with a comprehensive, accurate and extremely easy to follow instructions for assembly. These show exactly where every component should go and are coded to match the instructions. A competent DIY-er will usually find things straightforward, but it invariably helps to have a second pair of hands available to assist! 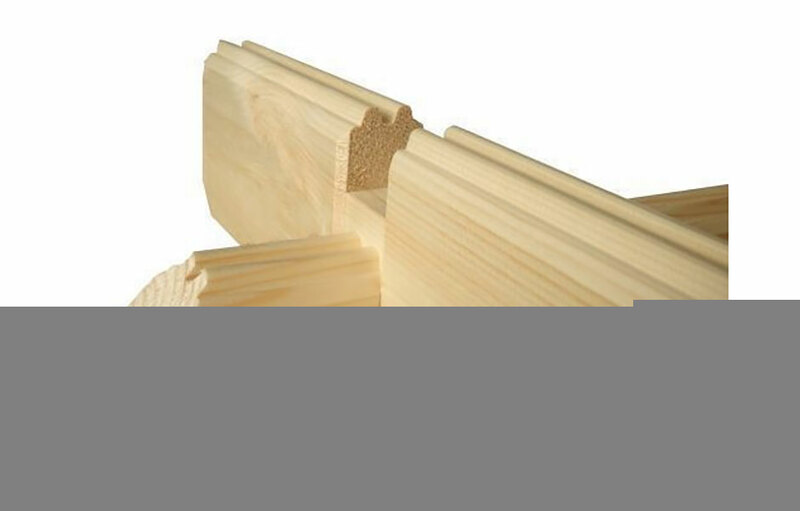 If you are not completely confident of self-assembly then we would recommend you contact local joiners / carpenters to get quotes. As mentioned earlier, if you want to use our pro-install team you will need to get in touch with us to consider options and pricing as there are too many variables to make directly online ordering possible. The log cabins have a 20 day delivery time (unless clearly stated otherwise in the product description) - this is a free service if you are within the free delivery area as defined in the map below. If you are outside of the designated areas you will need to contact us for further information. 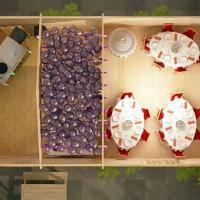 Note that the people making the delivery are NOT the same people as the installation team! Every effort is made to deliver the products within the estimated time although delays due to unforeseen factors beyond our control are possible and we cannot accept liability for any delays or failure to deliver the goods within the estimated time-scales. Someone must be present to accept it and the delivery at the agreed time and it must be signed for. If a delivery is made and there is no one available to sign for it, the product will be returned to the distribution centre and the purchaser will have to pay for additional delivery costs. 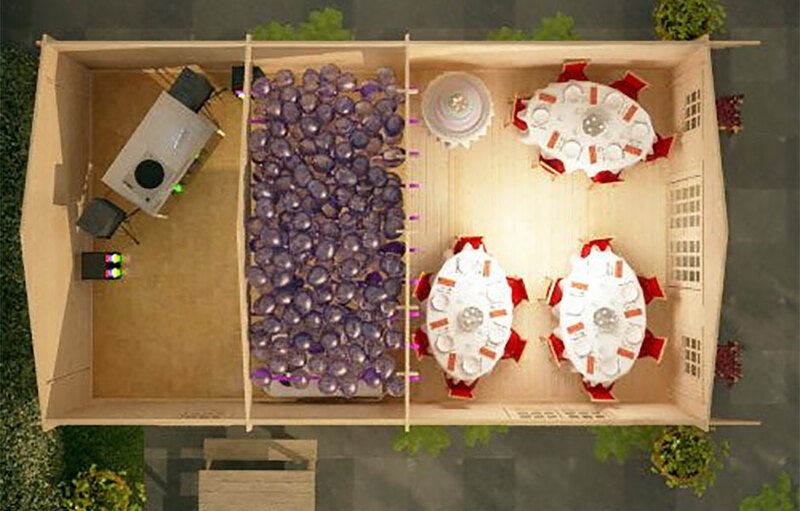 When the delivery arrives there must be a person available who is capable of lifting items of up to 25 kg (the heaviest items are unlikely to be over 50kg which will be split between two people). If there is nobody present who can assist the driver and the goods need to be returned the purchaser will have to pay for additional delivery costs. We cannot be held responsible for any damage or injury sustained due to incorrect unloading, usage or assembly of any of our products. Our liability for non-delivery of the goods shall be limited to replacing the items within a reasonable time or issuing a credit note at the pro rata contract rate against any invoice raised for such goods. Log cabins are delivered kerbside only. Unless agreed prior to delivery movement of goods beyond the kerbside is the responsibility of the customer. If something is missing or there is a problem with any of the parts please contact us and be prepared to email photographs if necessary. The extras and prices outlined below give a very 'broad brush' idea of what is available for many of the garden buildings. When we have a better idea about your requirements we will be delighted to provide you with a bespoke, no obligations quote. 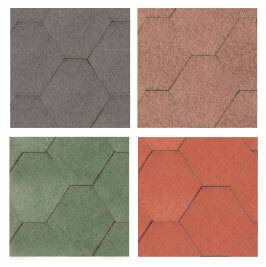 Many garden building have a green mineral felt roof covering as standard and this can be upgraded to roof shingles in four colours: black, brown, green or red. 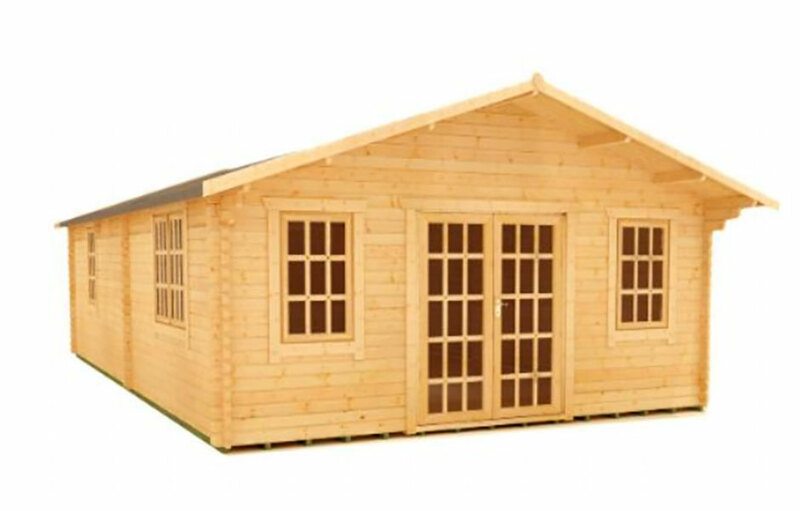 There are various log cabins where these can be ordered online so you can get an idea of prices from, for example the Dorset Studio Log Cabin. Please note that if you have professional installation the addition of roof shingles will add to the installation costs. 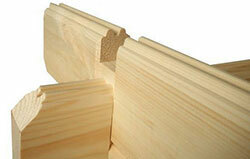 Our garden building will have the doors and windows outlined in the 'Specification' section (tab) with each product. 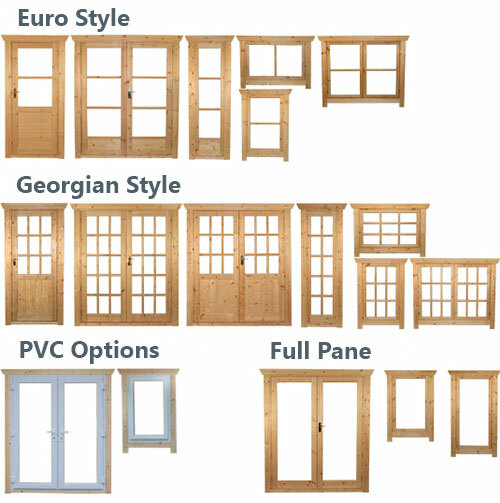 The picture below shows different styles available on some of the log cabin ranges. 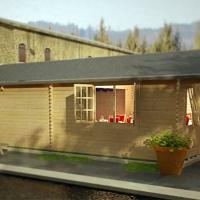 More often than not we show images of the more modern Euro style windows with the log cabins and for a small charge we can upgrade to to the rustic Georgian style - there's an example with the Derby log cabin. 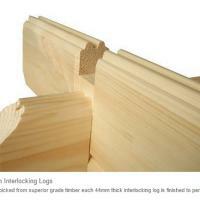 The two most common log thicknesses are 28mm or 44mm. 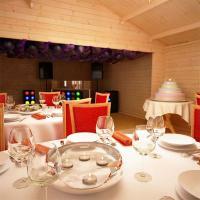 There are also a few cabins that have optional thicknesses of 70mm, 153mm, 146mm and 178mm. The thicker the logs the better insulation and strength properties - remember that insulation means both keeping cooler on a very warm day as well as keeping warmer if used in winter, which is an important consideration if the cabin is used as a home office. The 44mm logs (pictured) have the advantage of a double extra long tongue and groove system given it extra strength when compared with the 28mm version. 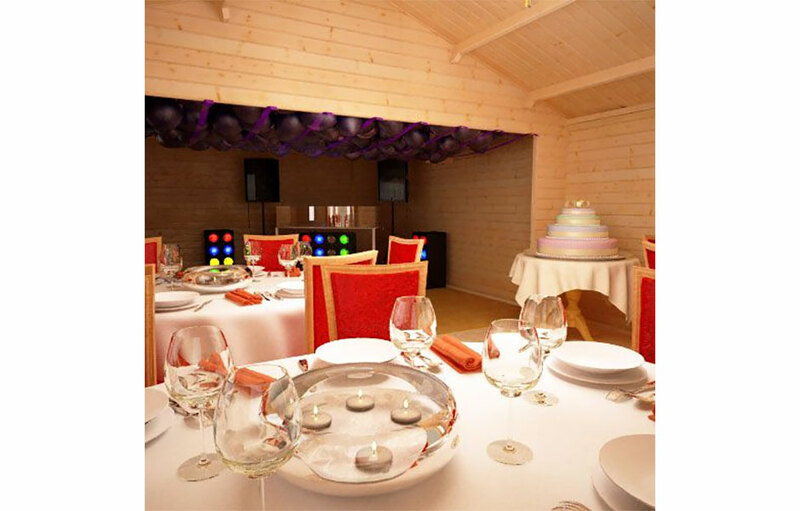 A log cabin that is 2.5m or less in height, is exempt from planning conditions and is therefore a permitted development. There may be instances where the cabin is slightly over 2.5m and can be reduced if you were concerned about this (this can be done at no additional cost). In many cases you are entitled to have a log cabin in your garden up to 4m high - please read our planning guide first - here. 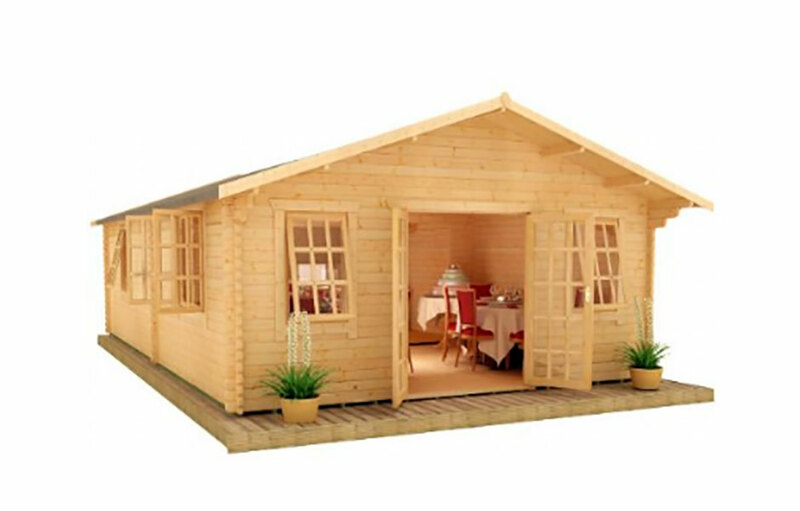 We offer a great range of garden buildings such as summer houses, log cabins, garden offices, sheds, gazebos and workshops. We only sell from trusted product ranges and place a strong emphasis on sourcing from environmentally responsible suppliers.